Chronic psychosocial stress may induce systemic inflammation in our bodies that leads to biological age acceleration, premature diseases and mortality in those living in disadvantaged socio-economic conditions. Geneva/Milan, April 2nd 2019– Poorer people are more likely to experience worse health throughout the course of their life, especially in older age. The risk of poor health is associated with a step-by-step decrease in socio-economic position, creating what has come to be known as a social gradient in health [Figure 1]. 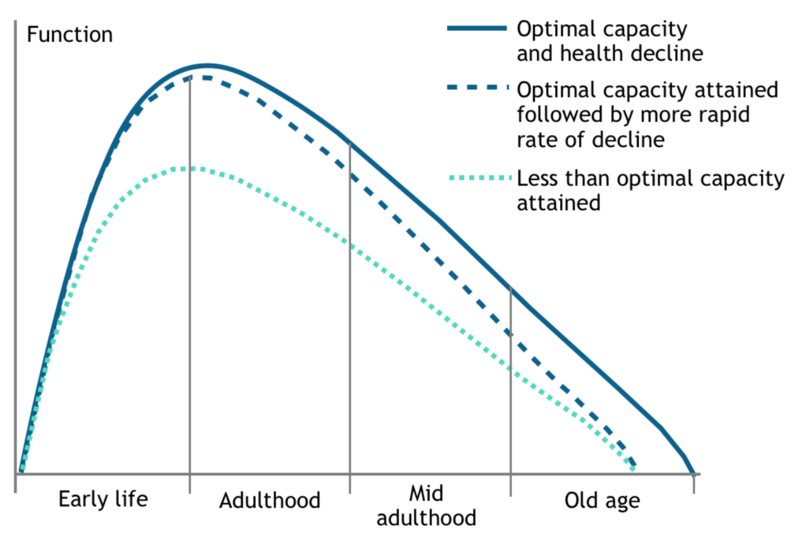 In theory, if the more affluent can achieve healthy ageing it should be possible to achieve healthy aging for all. This was the challenge faced by Lifepath, a European project started 4 years ago and presenting its findings in the final meeting held in Geneva (CH) on the 26-27 March 2019. Figure 1 - The social gradient of health. “The most disrupting result of the project is that socio-economic position is an independent risk factor for premature mortality and physical functioning, of nearly the same extent as life style risk factors such as smoking, high alcohol use, poor diet, and physical inactivity. If smoking is responsible for 4.8 of years of life lost and hypertension of 1,6 years, the disadvantaged position in society ‘takes out’ 2,1 years [Figure 2]”, says Silvia Stringhini (University of Geneva), main author of one key study (Read more on this issue here). "Years of life lost (YLL)"
Figure 2 - Years of Life Lost associated with 6 major risk factors and low SEP.
“Our epidemiological and biological data show that socio-economic disadvantage, expressed by income, education, housing or job position, accumulates from the very beginning of life due to several different kinds of exposures and circumstances, including psychosocial stress”, says Michelle Kelly-Irving (Inserm, Toulouse). “The evidence from our project shows that this chronic stress may induce systemic inflammation in our bodies that leads to biological age acceleration, premature diseases and mortality in the most disadvantaged. Literally, poverty gets under the skin”. Early age is a veritable game changer, and it is crucial to intervene to support poorer families and children to make them more resilient to adverse circumstances during life and to ensure a healthy ageing. “Studies from Lifepath show that children and adolescents from low socio-economic backgrounds were more likely to be overweight, having a higher Body Mass Index from as young as the age of three, then affecting health in adulthood. Biological markers in children, such as epigenetic age acceleration, were affected by the social position of the family as well, while living in disadvantaged neighbourhood negatively impacts on several cardiometabolic risk factors [Figure 3]”, says the leader of the project Paolo Vineis (Imperial College, London). 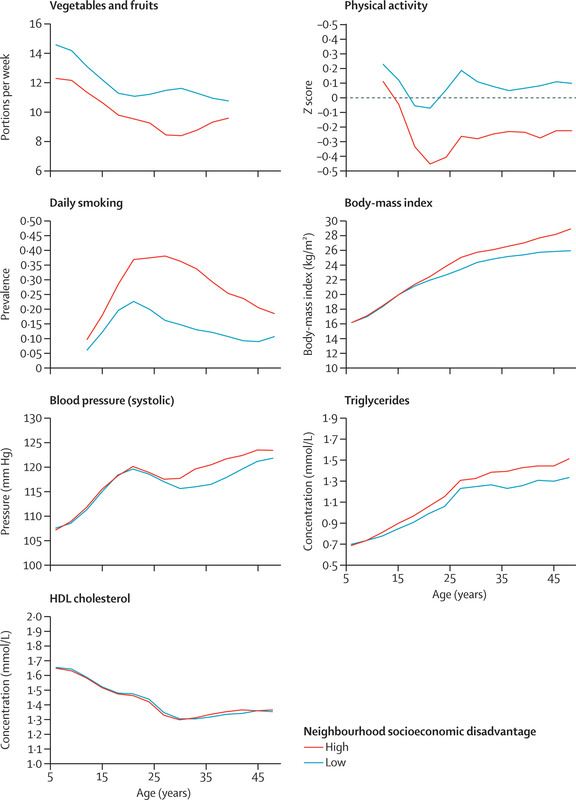 Figure 3 - Risk factors of cardiometabolic health by age and cumulative neighbourhood socioeconomic disadvantage. 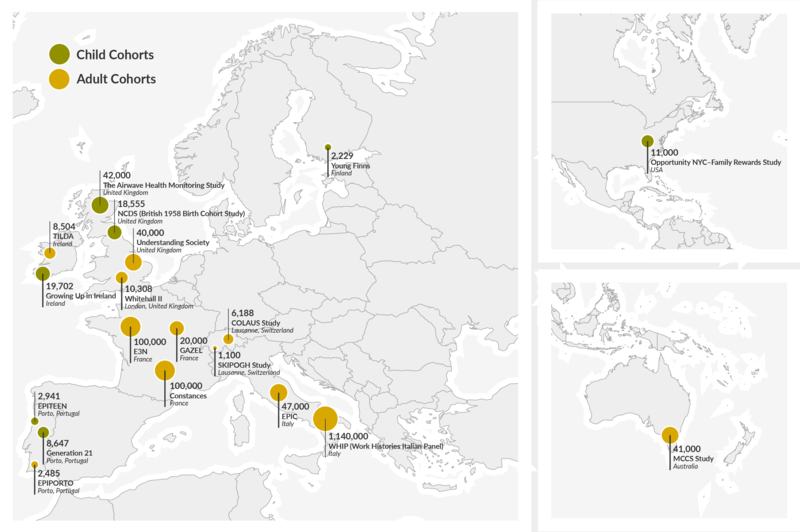 One of Lifepath’s goals was also to assess the impact of the 2008 recession in Europe. Lifepath researchers completed a study of health inequalities in 27 European countries that included the period of the 2008 banking crisis. “Most European countries have experienced many decades of mortality decline and the evidence suggests this was not derailed by the recession”, comments Johan Mackenbach (Erasmus Medical Centre, Rotterdam). “This study likely reflects a level of resilience in most European countries built up through the provision of financially accessible health care and social support systems. However, mortality from smoking-related causes increased for younger less educated women and mortality from alcohol-related causes went up among less educated men and women” (read more about this issue here). “Studies from Lifepath can be very useful to understand the real causes and biological mechanisms of growing health inequalities affecting our societies, but can also give useful suggestions to policy makers about timing of interventions in order to break the intergenerational transmission of health injustice”, says Michael Marmot (UCL, London). “Undoubtedly, the effects of education and social support in early life is as crucial as interventions on life style factors and on social conditions in adulthood”. LIFEPATH is a research consortium funded by the European Commission under Horizon 2020, aimed to understand the impacts of socioeconomic differences on healthy ageing with a life-course approach that considers the relative importance of lifetime effects by comparing studies on childhood and adult risks. Lifepath researchers have integrated Europe-wide data from different cohorts [Figure 4] on socioeconomic position, environmental exposures and behavioural risk factors with health and other biological measurements. They investigated the biological imprints left in our bodies by exposure to socioeconomic factors – such as education, occupational title, or income. Chronic psychosocial stress was also considered as it may exert long-term effects through inflammatory responses, reduced immune function and biological age acceleration. The evidence from Lifepath can help to steer policies to reduce health, showing that healthy ageing is an achievable goal for society. Figure 4 - Map of the cohorts involved in Lifepath research. Additional information, photos and videos about the project can be found in online Media Centre of LIFEPATH project.